By Thomas L. Petty, MD, Mary Burns, R.N, BS and Brian L. Tiep, M.D. The Pulmonary Education and Research Foundation proudly presents this new, updated edition of the Essentials of Pulmonary Rehabilitation by Thomas L. Petty, MD, Mary Burns, R.N, B.S. and Brian L. Tiep, MD. The authors have worked diligently to prepare this new, completely updated version. The document is a navigable PDF file, which means that the entries in the Contents are ‘clickable’ and there are hypertext links placed in the text as well. You will need a PDF reader version X or later to view and/or print the document. Please note that the free version of the Adobe Portable Document File reader can be downloaded here. 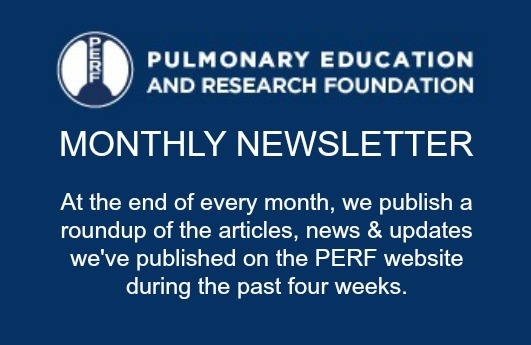 To download the booklet, please click on the title: Essentials of Pulmonary Rehabilitation. A Do It Yourself Guide To Enjoying Life With Chronic Lung Disease (PDF). We proudly present the Spanish translation of the booklet Essentials of Pulmonary Rehabilitation A Do-It-Yourself Program. The original translation was done in 1995 by Dr. Juan Antonio Mazzi of Buenos Aires, Argentina. It was updated by Dr. Susanna Szekely in 2003. We appreciate the time and effort of these two physicians and hope you find this helpful. To download the Spanish translation of the booklet, please click on the title: Lo Esencial de la Rehabilitacion Pulmonar (PDF).